- keeps you up-to-date with other postings or news about Vietnam Charms. You want to learn how to say Happy New Year in Vietnamese? You’ll find useful instruction here. Read it now. 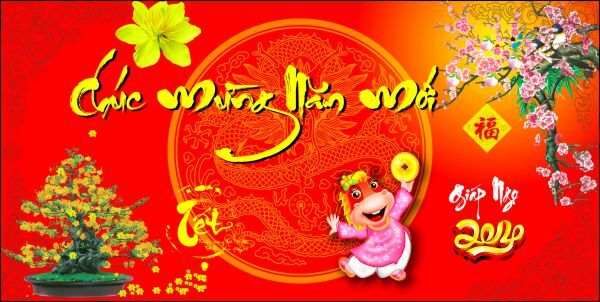 Continue reading "How to say Happy New Year in Vietnamese?" 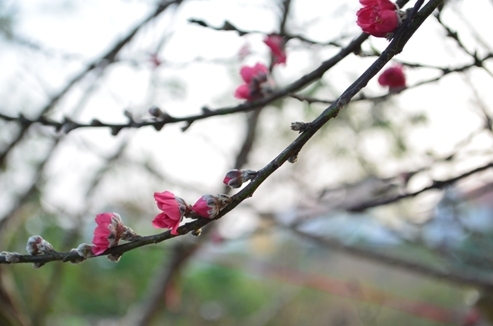 There’re many things that people do or don’t during Vietnamese New Year Celebration. Find out more here. 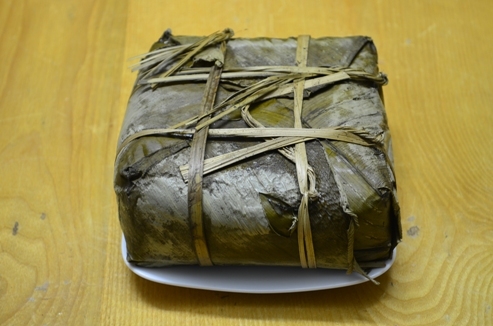 Continue reading "Vietnamese New Year Celebration"
Have you tasted Vietnamese banh chung? It’s our traditional food for every family in the Tet festival. Find out more here. Continue reading "Banh Chung - Favorite Cake in Tet holiday"
Have you ever attended a traditional Vietnamese wedding? It’s an interesting experience as it reflects distinct features of our culture. See detail here. 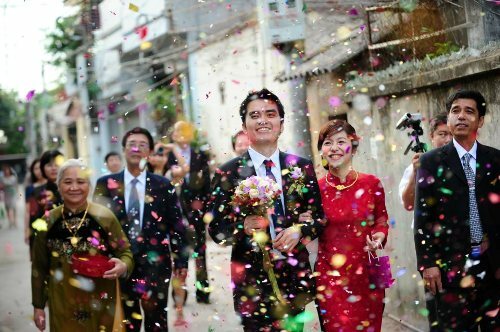 Continue reading "Traditional Vietnamese wedding"
Have you ever experienced a Tet - Vietnamese New Year – the biggest festival in my country? You’ll find a lot of fun and excitement during this occasion. Find out more here. Continue reading "Vietnamese New Year - the biggest festival in Vietnam"
You want to learn several essential Vietnamese phrases to communicate and understand the locals better? Great, this article will help you. Check it out. Continue reading "Basic Vietnamese Phrases"
You enjoy Vietnamese coffee? Then you should have a Vietnamese coffee maker to prepare the drink for yourself. See details about the device here. Continue reading "Vietnamese Coffee Maker"
You’re choosing a souvenir? Then buying a Vietnamese silk painting should be in your priority consideration if you come to my country. Find out why here. Continue reading "Vietnamese Silk Painting"
Hanoi Old Quarter is one of the most charming attractions of our capital city. It has the traditional Vietnamese ancient street style. Find out more here. 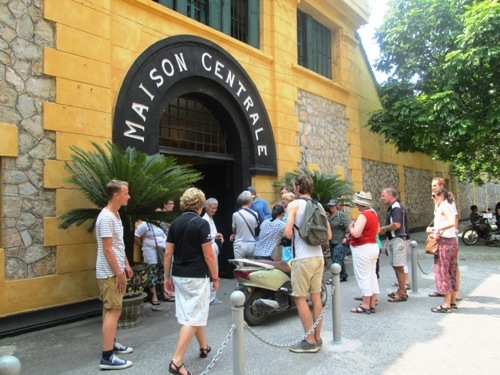 Continue reading "Hanoi Old Quarter - Real Vietnamese Attraction"
Hoa Lo Prison is a historical destination in Hanoi that I will suggest. It reminds us about a hurtful stage in Vietnam history. More detail here. 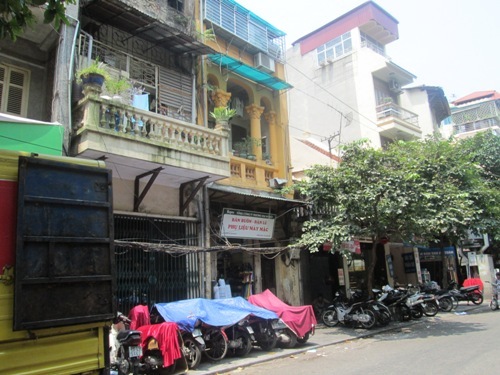 Continue reading "Hoa Lo Prison - Historical Landmark of Hanoi"